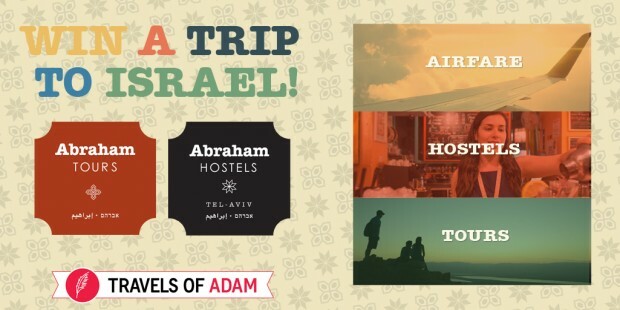 Travels of Adam and Abraham Hostels has teamed up to give travelers the chance to enter once to win a fantastic trip to Israel including flights and a full travel itinerary! Prize: Winners will receive a trip for two people to Tel Aviv, including a $500 credit toward airfare and a tour package from Abraham Hotels, including visits to Jerusalem, Tel Aviv, Nazareth and potentially additional destinations and cities. This Sweepstakes ends on 06/15/16 and you can ENTER ONCE to win.